We are committed to helping victims recover damages for pain and suffering, job loss, and medical expenses. We also give you the personal attention you deserve. If you have been injured on the job, you have the right to seek benefits and compensation through an injury claim. It is important to speak to a lawyer right away. The Law Offices of David W. Clark, P.C. located in Wheaton, Illinois, is a law firm that truly cares about helping individuals navigate through the legal system, on matters involving personal injury and worker's compensation. As the owner and sole practitioner of this law firm, my goal is to always give my clients the personalized attention they deserve. Whether you were injured in the workplace and suffered severe back and neck injuries, or you were the victim of a personal injury caused by negligence, my law firm is more than qualified to help you. Contact the Law Offices of David W. Clark, P.C. in DuPage County, if you or someone you love has been injured in any type of accident. We take good care of our clients and do our best to go above and beyond, for those who may be at a disadvantage. Let us fight to protect your rights. 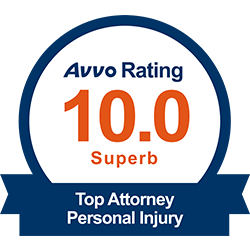 I started out with a background in personal injury law and I have been able to maintain a strong connection to my clients for many years. When people turn to the Law Offices of David W. Clark, P.C. for their personal injury or workers' compensation concerns, they can feel confident in knowing their case will be effectively handled by an attorney who understands every aspect of personal injury law. I have dedicated more than 25 years of my legal practice to the areas of personal injury and workers' compensation. 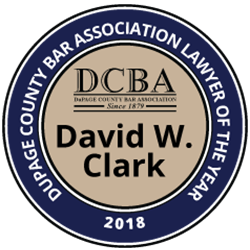 David Clark&apos;s presentation on limited scope representation and attorney referral fees was highlighted in the article titled "That Was Against the Rules" in The DCBA Brief - The Journal of DuPage County Bar Association. Contact my DuPage County law firm for experienced legal representation, if you or someone you know has been injured in an accident due to the negligence of another. Call 630-665-5678 to set up a free consultation with me today. Representing injured clients requires a unique set of skills including determination, strategy and persistence. Attorney Dave Clark has demonstrated this skill set both professionally and personally. As an avid marathon runner, he has completed a marathon in every state. "My opinion of lawyers before Dave Clark was not a pleasant one. Since Dave became my lawyer the law profession has moved from the bottom 100 to the top 10. I was so blessed when I found Dave because he took my dire case with AT&T and turned it into a positive moment in my life and no words can express my thanks. This gentleman will always be my 1st choice if and when I need a great lawyer again. I have and will continue to refer all my friends, family and coworkers to Dave Clark." "Outside of the courtroom, Dave is a nice guy. After our meeting I was confident that I had the right Attorney. He's comfortable in his own skin, patient, competitive (The dude has run a marathon in all 50 states... seriously, who does that?) and is able to argue facts appropriately. Hopefully, we never need him for personal injury problems, but I'm glad to have a guy that does Business and Contract Law as well as Landlord/Tenant stuff." "Dave first helped us over 10 years ago. He straightened out a tangled 3-car accident in which the police botched the paperwork and the insurance didn't want to pay. Pay they did - and we knew we'd found a good lawyer. Since then, we have called him for advice countless times, and have referred our friends to him as well. When something awful happens to someone you love, it's so comforting to be able to say 'I know someone you can trust." "Dave did a lot for me and my family. We will always be grateful to him for helping my grandmother and me get some justice and bring a very difficult chapter in our lives to a close. My grandmother was comforted knowing Dave was working on her behalf and she really enjoyed the visits and the lovely cards he sent her! I was very fortunate to have had such a wonderful lawyer working on my behalf and for the opportunity to know Dave on a personal level." "Dave Clark provided our firm with exceptional effort in research and filing our claim. His communication and follow through were outstanding. The combination of his diligence and skill created a favorable outcome and I was impressed with his integrity throughout the process of our engagement. I would highly recommend Dave Clark for your legal representation." - Ken Scholten President of Agility Health, Inc.